you need a waste disposal service that you can depend on. in order to tailor our service to your needs. Businesses rely on us so they can concentrate on doing what they do best. Waste disposal is a key part of your project management. We specialise in providing specific solutions for commercial and industrial clients across all sectors to deliver the services that work best with your specific environment and needs. You can rely on us whatever the scale of your project – we have extensive experience providing waste management services for construction and demolition companies. 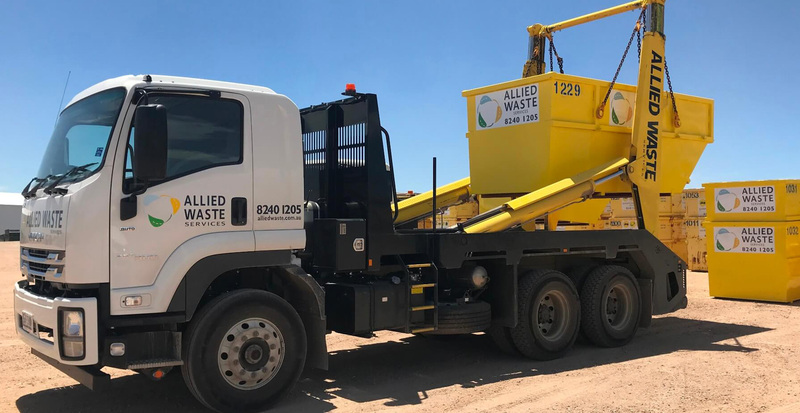 Our heavy truck fleet boasts a range of skip trucks complemented with various size skips, crane tippler bins and site wheelie bins. We advise on what skip will best meet your needs – dealing with the waste from your home renovations or spring clean. Our service saves you the time and hassle of repeated trips to the public tip so you can focus on transforming your home or getting your weekend clean-up completed. We’re proud members of the Green Building Council of Australia. We only use licenced waste transfer facilities who aim to recycle 97% of all waste handled. 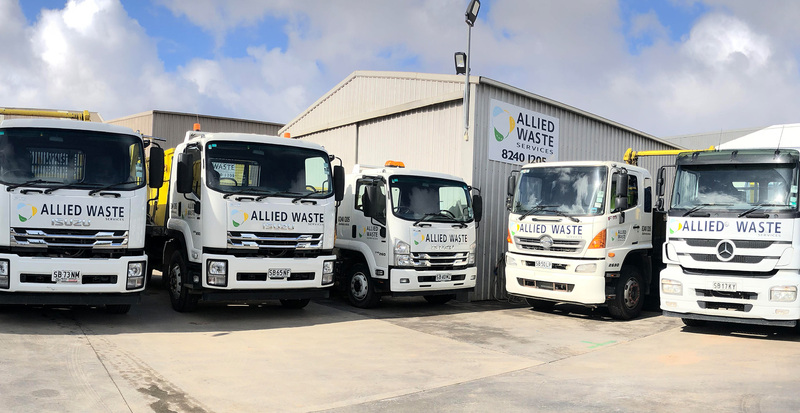 We are fully compliant with regulatory requirements and encourage separating waste streams on site – an efficiency that reduces costs which we pass on to you. Are you ready to book a skip now? 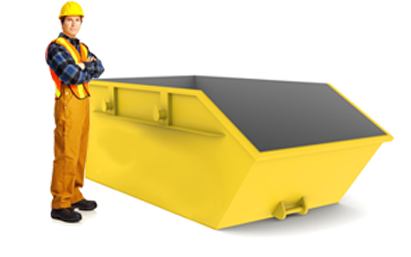 Our complete range of skip bins means we can meet your projects specific requirements. Our range includes 2m³, 4m³, 6m³ and 9m³ skips. 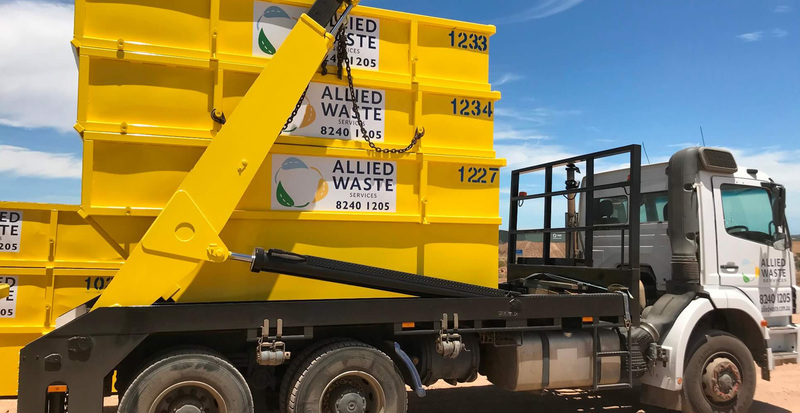 2m³ Putrescible skips, Crane Bins and wheelie bins (Commercial & Industrial Only). If you need an exact dimension of a skip bin for your requirements please contact us prior to booking your bin. 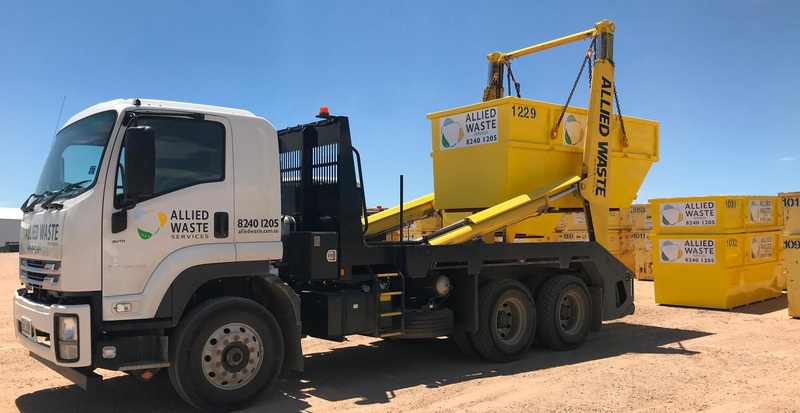 Allied Waste Services Pty Ltd is a proud SA family owned and operated, specialist waste services company providing tailored solutions for commercial, industrial and domestic clients. We are dedicated to delivering excellence and committed to providing exemplary service. Our uniformed, white card accredited, DCSI cleared drivers are highly experienced professionals who always provide a reliable service that you can completely depend on. Our customer satisfaction speaks for itself and we provide the professional service you expect, being fully accredited, licensed, registered and workcover approved. 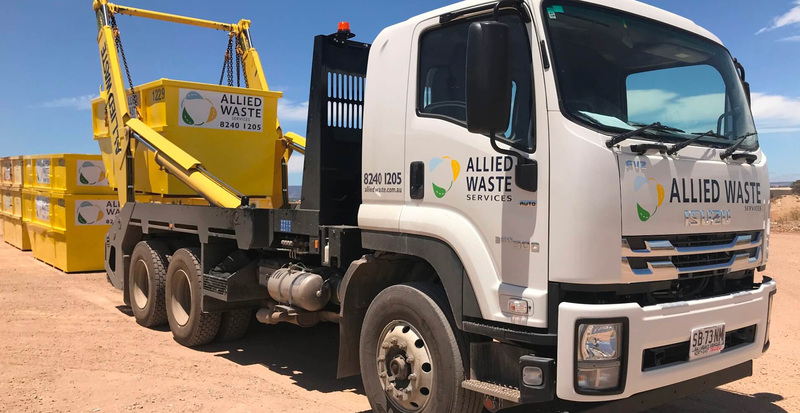 Allied Waste Services Pty Ltd adheres to all OHS regulations and is committed to a safe workplace. Our complete range of skips and bins means we can meet your projects specific requirements. Our range includes 2m³, 4m³, 6m³ & 9m³ skips and 2m³ Putrescible waste bins, Crane Bins and Wheelie bins. 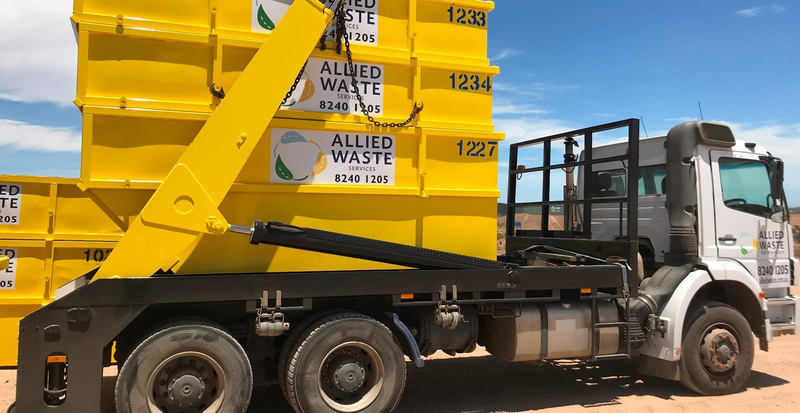 We provide monthly weight reporting for projects, allowing you to see how much waste was removed, what percentage is recycled, and can consult to help you find your own efficiencies. Our specialist knowledge will determine your project’s needs whatever the scale,to provide the most efficient waste disposal solutions. We take care of your waste and ensure we’re taking care of the planet aiming to recycle 97% of all waste handled.